"Building the Dream" was the title of the unforgettable first Summer School of the Americas - North and South together - that took place in Mexico, in the Little Town of El Diamante, from 11 to 15 August 2014. A dream that is not a utopia, but a hope that we can accomplish together. A dream that concerns our professional life that is individual, but it is also the dream of many: a united world. There were 50 young people from 11 countries: more than half of them had already started an entrepreneurial activity, while others were still planning. We talked about poverty, the EoC entrepreneur, gift and work, management and the difficulties of life. It was a week full of enthusiasm. The topics for discussion were coupled with experience and much dialogue: questions to which everyone responded; experiences of young people and entrepreneurs who have come mainly from Latin America; workshops; classes taught by European and American professors; visits to the EoC businesses linked to the Little Town. 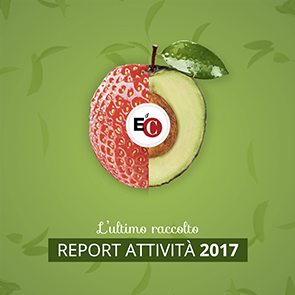 Luigino Bruni summarized the days lived and discoveries made together as follows: ‘The EoC takes new flight from and is revived by the poor and by the entrepreneurs who are willing to become poor for the sake of love. It is not the powerful to save the poor today, but they themselves: »You give them something to eat.« We will see an EoC that grows in the world, even in the opulent world, if we start up again from the suburbs, from their hunger for justice and life. The best way is not to try to “convert” the great entrepreneurs, but to seek out the poor (entrepreneurs and not), and dream together with them.’ The profound experience is summed up in what the young participants wrote at the end of the school: ‘We are “half winged angels” that must hug each other in order to fly.’ They said good-bye to each other having already defined the appointments of the next Summer School: in 2015 in Brazil, in 2016 in Ecuador and in 2017 in the United States. The third European Summer School “A new economy for a fairer world” was held from 26 to 31 August at Arny near Paris: 40 young participants from 20 countries and 4 continents. The thirst for a more just world and the dissatisfaction with the current economic system have driven many young people to seek answers on the web. Among the options that Google proposed for "just world" there was the EoC Summer School of Paris: many young people have come to Arny this way. After the intense days lived together, however, many have found a vocation in themselves for the EoC and the desire to deepen it and to give their contribution so that it continues to grow. Anouk Grevin, French Professor of Management from Nantes, who gave a lecture on dialogue as a managerial tool, says: ‘One of the most frequently recurring phrase during the final sharing of impressions was: »I saw that it's real.« Communion is not just a programme for the economy, but - in the companies of entrepreneurs who have given their testimony - a life.’ The questionnaire at the end of the school showed a great desire to have more widespread online information on the EoC, the desire to enable a network to keep in touch and continue the dialogue, not only among the young people but also with the EoC entrepreneurs. It's a powerful experience that is still continuing... Those who want to get a closer feel of it should visit the Facebook profile “EoC Summer School”. From 1 to 3 October 2014 a group of 40 young people from all over Italy participated in the third edition of the EoC Workshop School at Polo Lionello Bonfanti. A journey of training, but mainly dialogue and growth, reflecting on our aspirations and the importance of recognizing our talents in order to be able to fulfill ourselves in work not only as individuals, but as members of a community with a strong sense of belonging. Luigino Bruni reminded us that "work is never just taking a general place in the world, but a fundamental exercise to understand our place in the world" and especially that pursuing a profession means fitting into a social network. In a historical time characterized by the crisis of our economic models, the distrust of institutions and individualism, experiences such as this can give new hope. A school open to all young Africans will be realized in collaboration with the CUEA (Catholic University of Eastern Africa) in the days immediately preceding the EoC International Congress (Nairobi, 27 to 31 May 2015) for which the young participants of the Summer School will be invited to stay, offering their own youthful contribution to the worldwide EoC. The fourth European EoC Summer School in English - after Lisbon (2012), Madrid (2013) and Paris (2014) - will take place in Prague, the capital city of the Czech Republic. It is a city that in addition to offering its history, culture and architecture, invites young people (not only Europeans) to deepen and experience communion. Communion may be the way to overcome the current economic crisis affecting young people with widespread unemployment? Are there ways out that create jobs and human flourishing? Let's look for them together. A desire was born in the young participants of the School in Mexico to run the next Summer School in Brazil - in the heart of the EoC -, returning to the Mariapolis Ginetta, near Sao Paulo (Vargem Grande Paulista). In fact, the proposal for the EoC was launched there by Chiara Lubich in 1991. Thos who want to understand what the EoC is will sooner or later have to visit the places where it all started. The Polo Spartacus is the "guiding light" of a Brazilian EoC dynamic.